One of the most common hardwood tree species in North America, the red maple (Acer rubrum) is a favorite landscape tree due to its brilliant reddish-orange foliage in autumn. Many different maple tree species exist in addition to the red maple, including the Norway maple, silver maple, sugar maple and black maple. 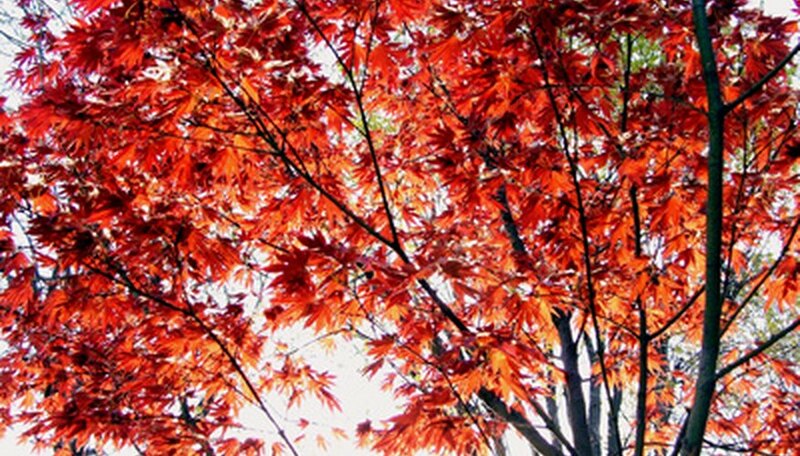 None of the other maple species can match the red maple’s breathtaking fall foliage, however. 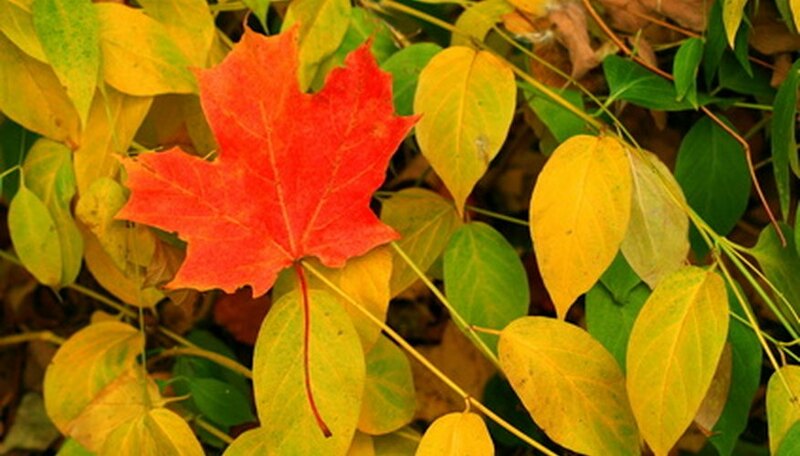 Identify the red maple tree by its habitat. You’ll find red maple trees growing mainly in eastern North America, in a wide range of soil types but thriving in acidic soils. Spot the red maple tree by studying its size. 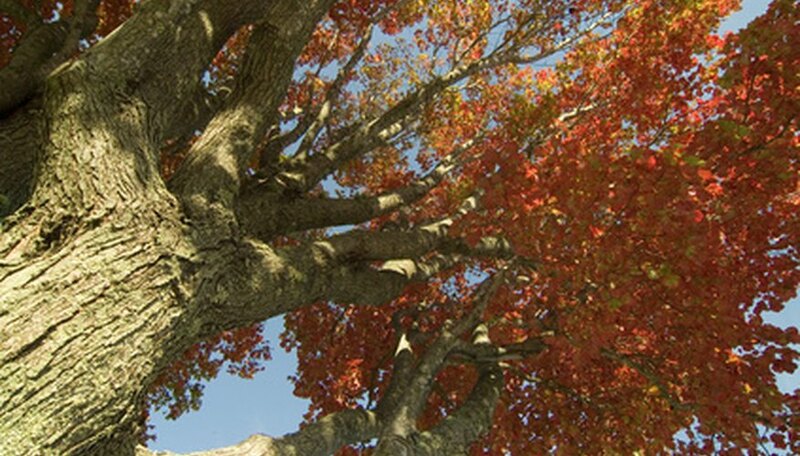 The red maple grows 50 to 90 feet tall and 25 to 45 feet wide. The red maple tree has a slightly pyramidal shape and ascending branches when it’s young but develops a more rounded canopy as it matures. Study the bark to identify the red maple tree. The bark on young red maples is smooth and light gray, while older red maples have darker, rougher bark that peels off in scaly plates or flakes. Look at the twigs to spot red maple trees. The twigs should be smooth, slender and slightly glossy, starting out green in spring but turning reddish in autumn. Study the flowers and fruits to identify the female red maple tree. The red flowers grow in dense clusters beginning in March or April, before the leaves emerge. The fruits, which ripen in May or June, are winged pairs of seeds that are ½ to 1 inch long and red or greenish, turning tan at maturity. 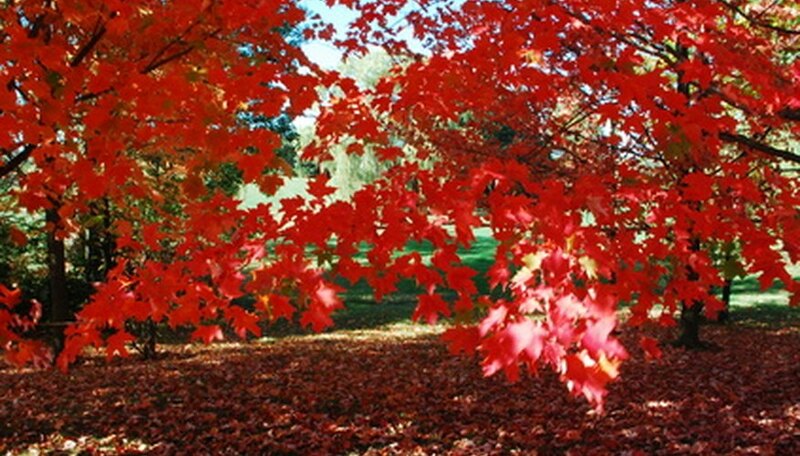 Don't confuse the red maple with the silver maple tree, both of which have similar leaves with whitish undersides. The silver maple's leaves don't turn a bright red or orange in fall--they turn a yellowish-brown. Also, the silver maple's twigs have a foul odor when crushed.